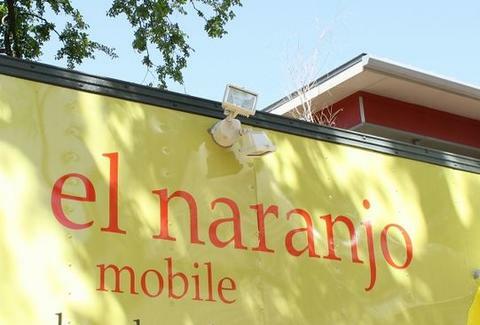 El Naranjo is the trailer & picnic table sequel to the same-named Oaxacan fine-dining establishment that the owner closed due to highly volatile local conditions before teaming up with a San Antonio culinary star and moving to Austin, where politics are as stable as the part in Rick Perry's hair. 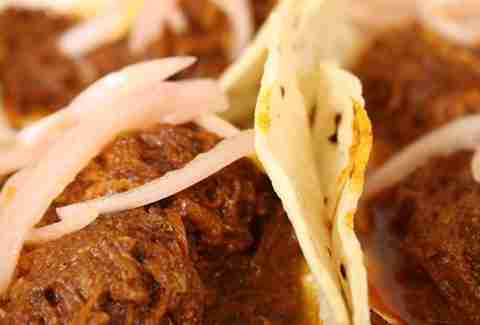 Tacos and tostadas are sold by the pair and include authentic choices like the Tinga Verde (shredded chicken in green sauce), the Chileajo (potato, carrot, green bean, chickpeas, cauliflower, chile guajilo and garlic), the Cochinita Pibil (black beans, pork, pickled onions), and the Nopales, with tomato, onion, cilantro, jalapeno, and cactus paddle, a major contributor to Mexico's notorious hazing problem. Daily specials will change like the wind, while drinks include fresh hibiscus iced tea, Jarritos (tamarindo, fruit punch), Sidral Mundet (carbonated apple drink), Mexican coke, and non-alcoholic sangria. They're also working on a liquor license, but for now you can BYO -- a cost-conscious means of helping you continue to stagnate your creative potential.